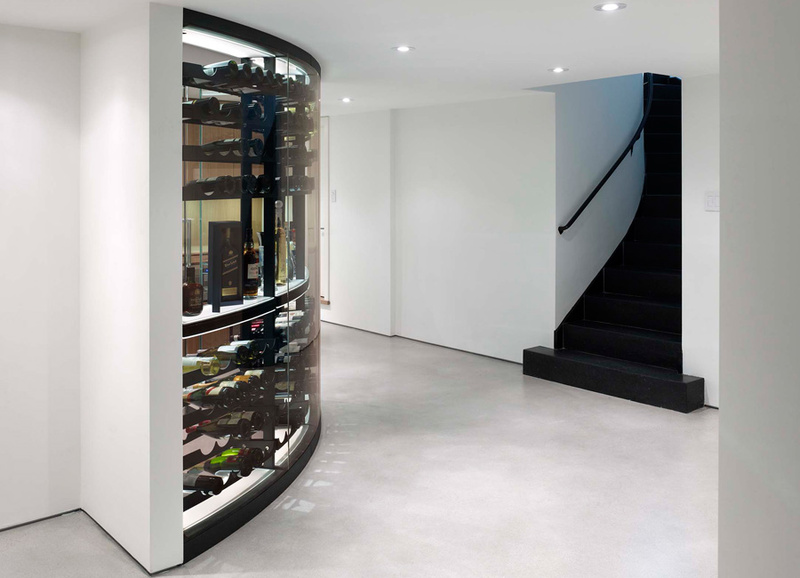 The Wine Room was designed as a feature for the base of a grand residential stair, in a lower foyer which acts as the entrance to an entertaining space. The curves define a circulation path through the foyer and make reference to detailing and forms throughout the larger project. 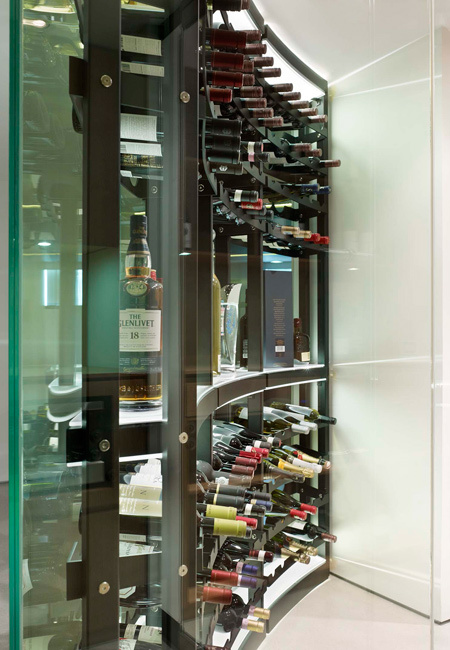 The curved glass is a feature wall of bottles. 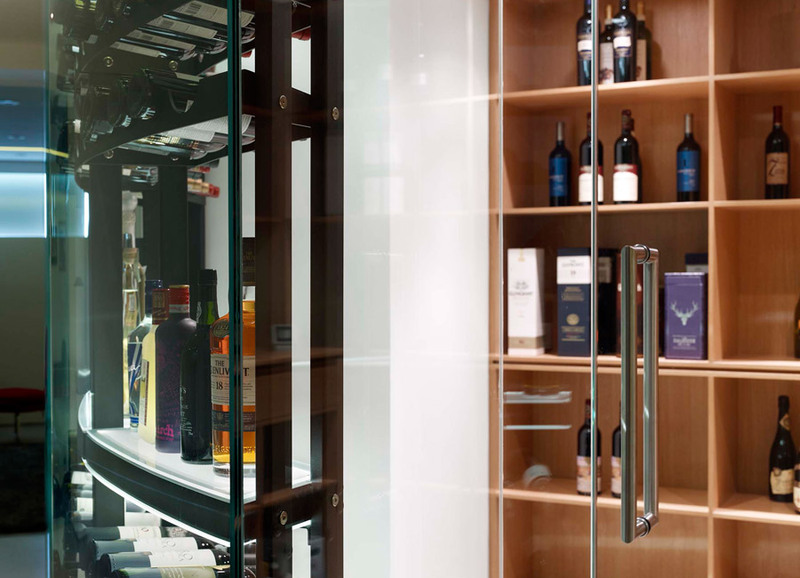 The various-colored glass is highlighted with LED lighting through acid-etched glass panels and display shelving. 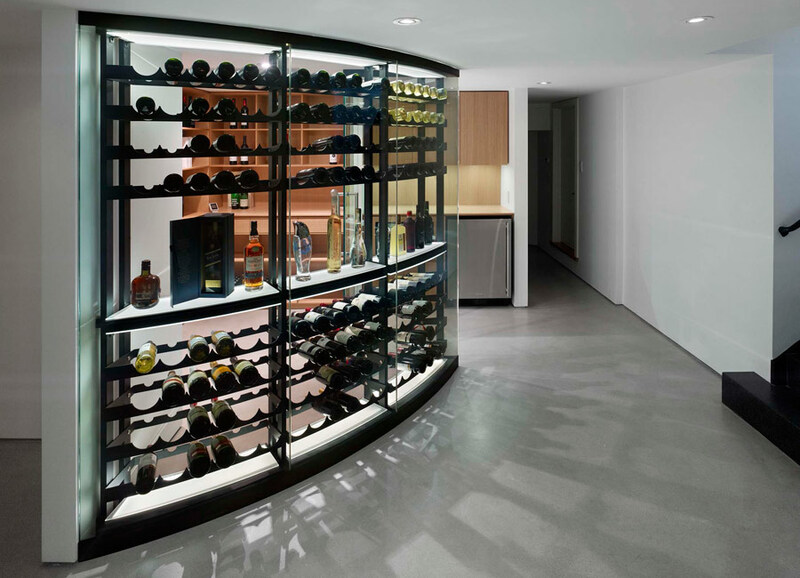 The laser-cut painted steel racking is a free-standing object within the glass enclosure. 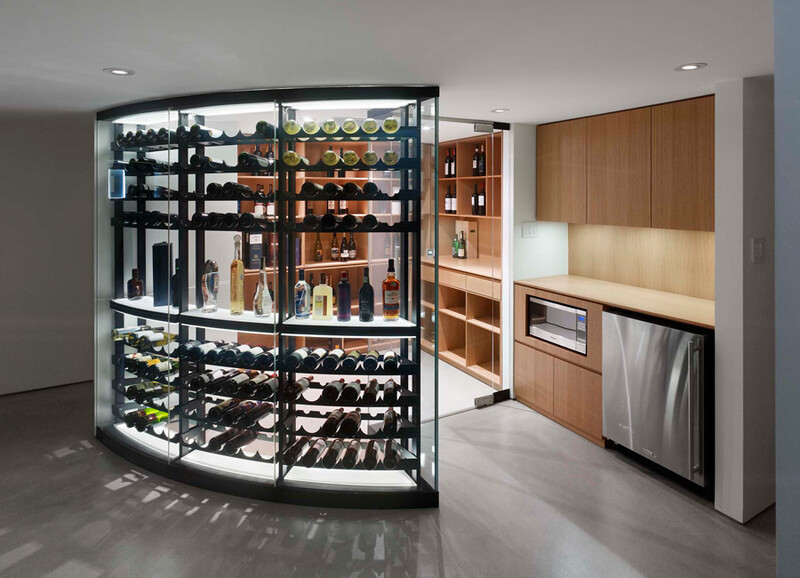 While the wine room was designed for a specific site as part of a larger project, the racking system may act as a prototype for broader production for future projects.